IBARAKI (Japan) • Park Sung Hyun of South Korea will become the new world No. 1 today after compatriot Ryu So Yeon finished joint 33rd at the Toto Japan Classic. The reigning US Women's Open champion did not play in the LPGA event, but Ryu had to finish no worse than sixth to stay in top spot, according to the projection. "I didn't know that," Ryu said outside the scoring tent at the Taiheiyo Club Minori yesterday, when told that she had surrendered the top ranking. "I don't really care about it. It's just a title. It's great to be No. 1 of course, but the more important thing is how I'm playing for the present." The 27-year-old became No. 1 in June but admitted to feeling the pressure of the lofty position. "A lot of expectation levels went up high but right now, I want to win a tournament more than keep my position," she said, after carding a one-over 73 in the final round of the 54-hole event for a 209 total. Park will be the 12th player to reach No. 1 since the women's rankings were introduced in 2006. The 24-year-old is the fourth golfer to ascend to the top this year, with New Zealand's Lydia Ko and Thai Ariya Jutanugarn having also enjoyed spells. 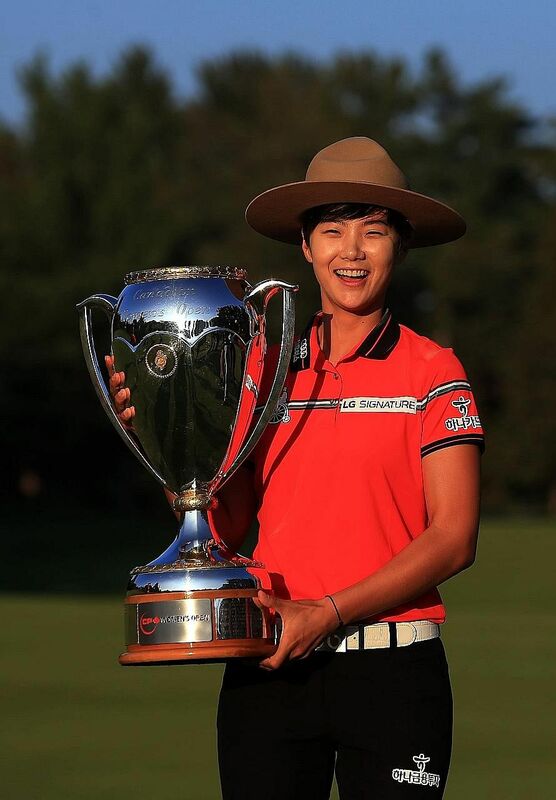 Last month, Park clinched the Rookie of the Year award with five events left on this season's LPGA calendar. No player has managed to retain an LPGA title this term until China's Feng Shanshan ended that wait yesterday. She secured a two-shot victory over home favourite Ai Suzuki at the Japan Classic. "That was my goal before I started the week, to defend my title," said Feng after shooting a 68 to finish at 19-under 197. "My caddie told me, 'This week, you're going to be first'." She rolled in a 20-foot birdie at the par-five 17th hole and tapped in for par at the last for her eighth LPGA career title, and second win of the season after the Volvik Championship in Michigan in May. "I shot a very low score yesterday and that really helped me win the tournament today," the Olympic bronze medallist said of the 63 that she shot on Saturday. Suzuki, who subsequently bogeyed the par-four 18th hole for a 68, enjoyed a consolation of sorts. Her performance lifted her to the top of the Japan LPGA money list. Helped by a hole-in-one on the third, Sweden's Anna Nordqvist shot a 66 to finish third on 15 under par.